It is important that when your tyres need replacing you are given honest, no-nonsense advice that you can trust from a proven local supplier. The range of tyres available for modern vehicles can be truly bewildering - different sizes, speed ratings, widths - never mind the extensive range of manufacturers available. From budget to branded, size to speed rating you can be sure you can trust ABS to provide quality tyres to fit all makes and models, but most importantly to fit all budgets. 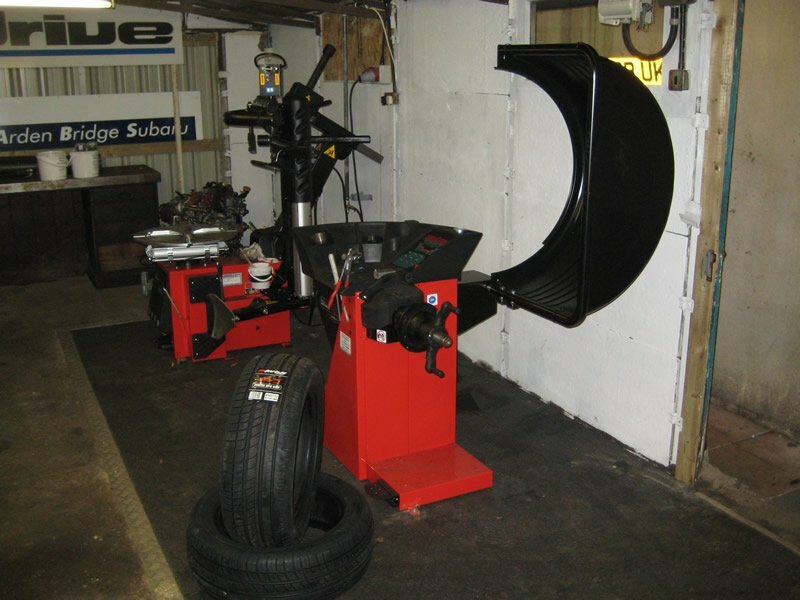 We can also carry out puncture repairs on your tyre depending on the damage levels incurred. We are here to help; we can guide you through the range of options to choose the right tyre for your car. During the lifetime of your vehicle your car tyres will suffer from natural wear and tear. The performance of your tyre, as it begins to age through increased mileage, will affect the performance, safety and efficiency of your car. Your safety, along with that of your passengers and other road users, can be critically linked to the condition of your tyres. If tyre tread depth falls below the legal limit of 1.6mm then any or all of the following can occur. The chance of aquaplaning is increased. Although the current legal minimum for tyre tread depth is 1.6mm, recent research shows that tyres with a tread below 3mm have a significantly reduced braking distance, especially in wet weather conditions. Most modern tyres include mould tread wear indicators (T.W.I) into the design of the tyres tread pattern usually at the legal limit of 1.6mm. As soon as the tread is worn to the height of the tread wear indicator, you should replace the tyre as soon as possible. 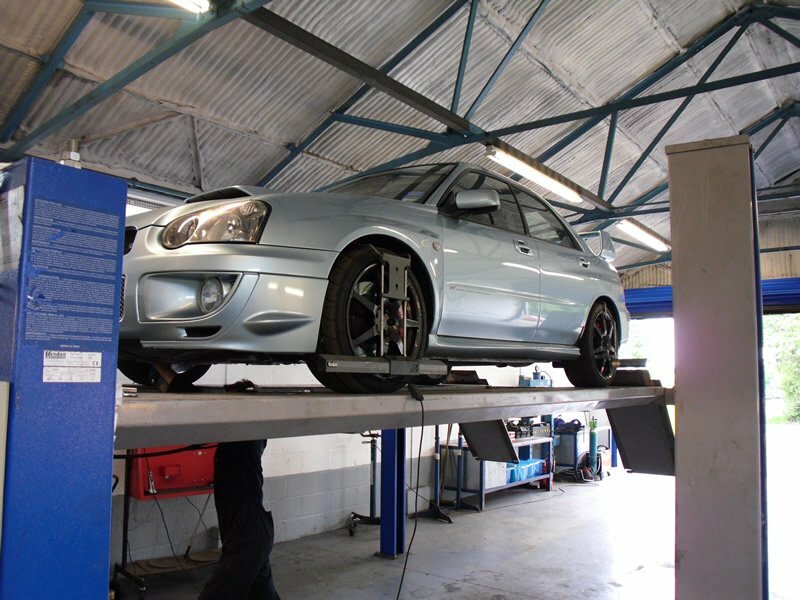 If you have any concerns about your tyres then one of our technicians will be happy to carry out an impartial health check. 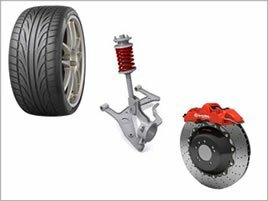 ABS can carry out all types of suspension requirements, from a worn out shock absorber to complete performance up grades including fitment of polyurethane bushes and four wheel aliment (tracking). This is an important part of any vehicle, and it is vitally important that any problems you may encounter are dealt with immediately. If you do feel that your brakes are not responding as they would normally then you can bring your car to ABS for a free brake check with a full report. If you are concerned about driving your vehicle to us, please phone for immediate advice. Brake fluid is designed to have a high boiling point to withstand the high temperatures generated by the friction of braking. In addition, it must not freeze during icy conditions. Brake fluid is hygroscopic, which means it absorbs water. As it absorbs water over time, the boiling point gradually lowers. If it reaches the point where the fluid boils during braking, compressible vapour forms in the braking system, causing the pedal to feel “soft” or not work at all. Brake fluid contamination is now such a major concern that all major vehicle manufacturers recommend that it is changed at least every 2 years. Water in the brake fluid will cause premature wear of the wheel cylinders and brake callipers. Failure to change your brake fluid regularly can result in extremely costly repairs.